My name is Cassie Calkins and I am the ultimate Disney enthusiast! Ever since I experienced my first Walt Disney World trip when I was 3, I have always loved the magic of Disney. I am very fortunate to have grown up in a “Disney Family.” When other families talked about their day at the dinner table, we talked about what we would be doing at Disney World right at that moment. 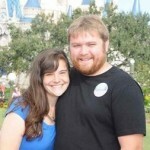 Some of my most amazing memories were at Walt Disney World. Riding my first roller coaster,meeting a Disney animator, celebrating my birthday, getting engaged, and celebrating my honeymoon! Because of my love for Disney I knew I couldn’t hog all the magic to myself. So I became obsessed with telling everyone I knew about how awesome a Disney vacation could be. 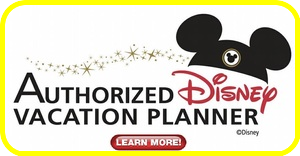 From there on I have been helping people plan their Disney vacations! As a Disney enthusiast, I am eager to share my Disney secrets with you, whether that means picking the perfect restaurant, learning the best times to go on the rides, finding your favorite Disney character, or knowing the best view for the shows and fireworks! I have an answer for you! 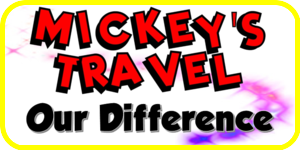 I’m am looking forward to sharing everything I know about Walt Disney World, Disneyland, Disney Cruises, or Adventures by Disney!